Jaques Kallis, AB de Villiers, Faf du Plessis, Dale Steyn, Albie Morkel, Morne Morkel, JP Duminy, and the list goes on. The Proteas players have always been a huge part of the IPL, right from its onset. 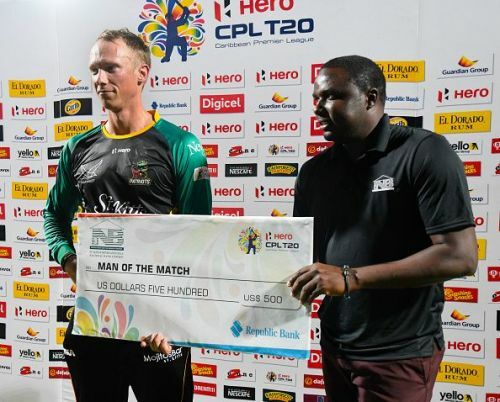 If Graeme Smith and Jaques Kallis ruled the roost early on, it was the Morkel brothers and superman AB who showcased their talent in the cash-rich league. In the upcoming edition too, expect the Protea stars to light up the IPL, and the auction preceding it. While the players selected for the World Cup squad might be asked to return back before the tournament concludes, there are a lot of players to look forward to. Add to it the experience they gain playing other T20 leagues around the globe and we have fresh options on our menu. Let's look at three players from South Africa who might grab attention this IPL auctions. Reeza Hendricks seems to be destined for big things. After toiling at the domestic circuit long and hard, he finally got a chance to make his mark on the tour to Sri Lanka. He scored a magnificent century on debut for the Proteas. A more than capable opener in T20s, Reeza would be on the get-list of many teams. His astonishing form in the Mzansi Super League and the fact that he is the highest run-getter currently makes him even more difficult to ignore. Not yet finished with the tournament, Reeza has already scored two centuries on the trot, portraying his remarkable consistency. Expect teams to go big for him. In the ongoing Mzansi Super League, Rassie has performed considerably well when provided an opportunity. With Reeza's consistency at the top of the order, both play for the same team, Rassie hasn't got enough chances to prove himself yet. He even memorably hit four consecutive sixes during an over. A deserving candidate for a middle-order slot, Rassie will be in the reckoning during the auctions. His part-time leg-spin bowling is an added bonus too. Having faded off from the scene over the past few years, Steyn now seems back from a long series of injury-hit roadblocks. Not that he is among the best T20 bowlers going around, but just the experience of the man makes his worth more than what he brings. Having a commendable economy of 6.72 over 90 matches in the IPL, Steyn is a force to reckon with. 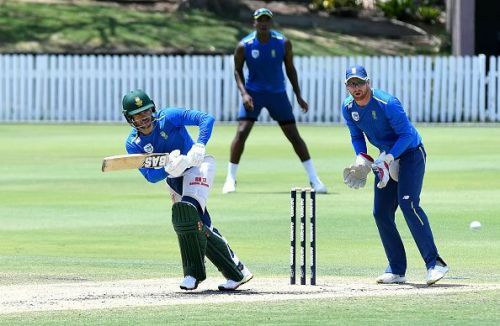 One might argue that those are numbers of Steyn during his pomp, but during the ongoing Mzansi Super League, Steyn has developed into a go-to bowler during the powerplays and has been used in the middle overs too, recognizing his failure in the death of late. Capable of touching high speeds, and with many teams on the lookout for an out and out fast bowler, expect Steyn to back in the IPL with a bang.